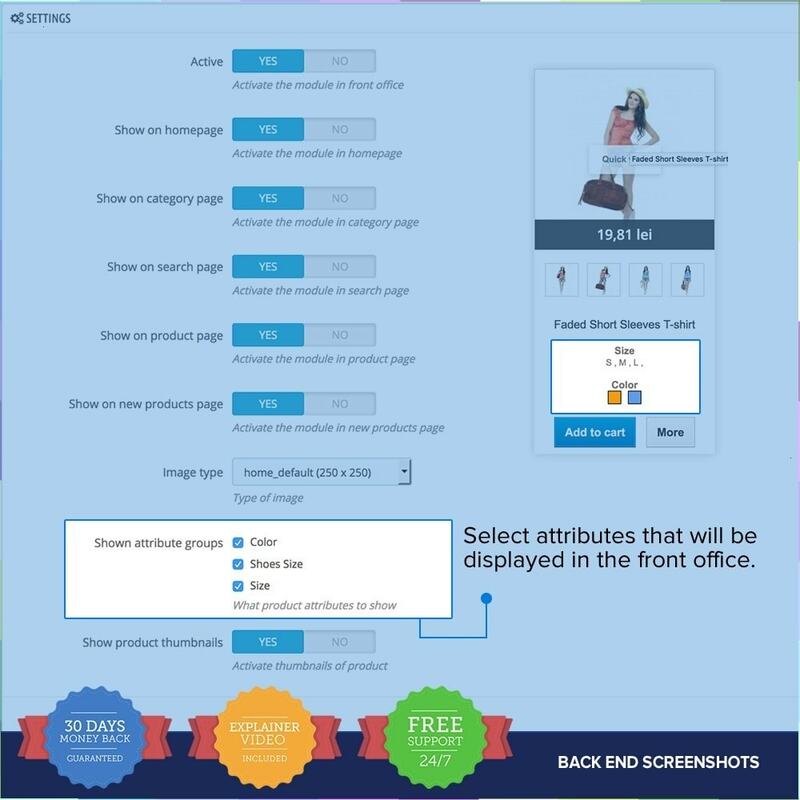 With our module you will be able to display not only the second image of a product, but also all the attributes available. 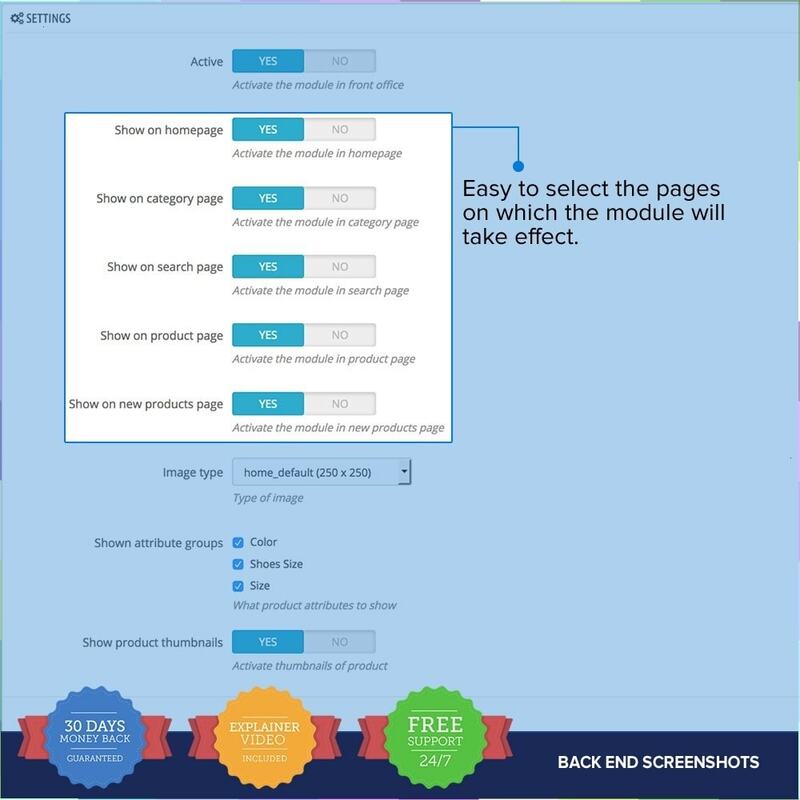 Our module offers you the chance to choose what attributes to display. **Very important: option to choose on what pages(home, category, search, etc) to display second picture or not. Our module is available for all devices like PC, tablets, smartphones. Also is compatible with Bootstrap if your theme is asking it. Increase your sales by offering the chance to view two angles of a product, or product size/color/etc. 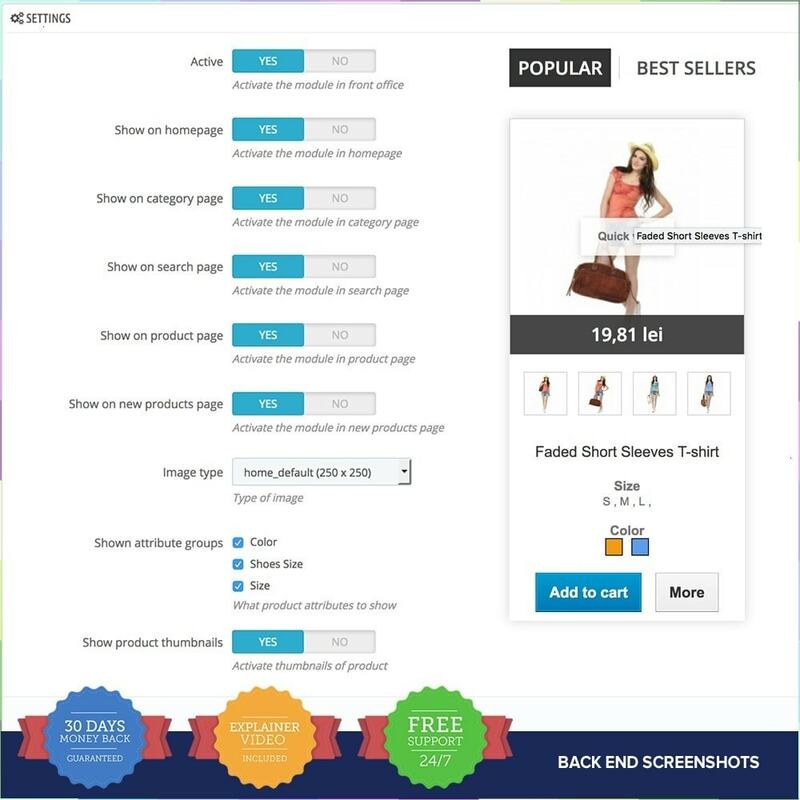 This plugin displays a popup with a newsletter subscription form, your customers can have a discount in return of their subscription only available for the first order. 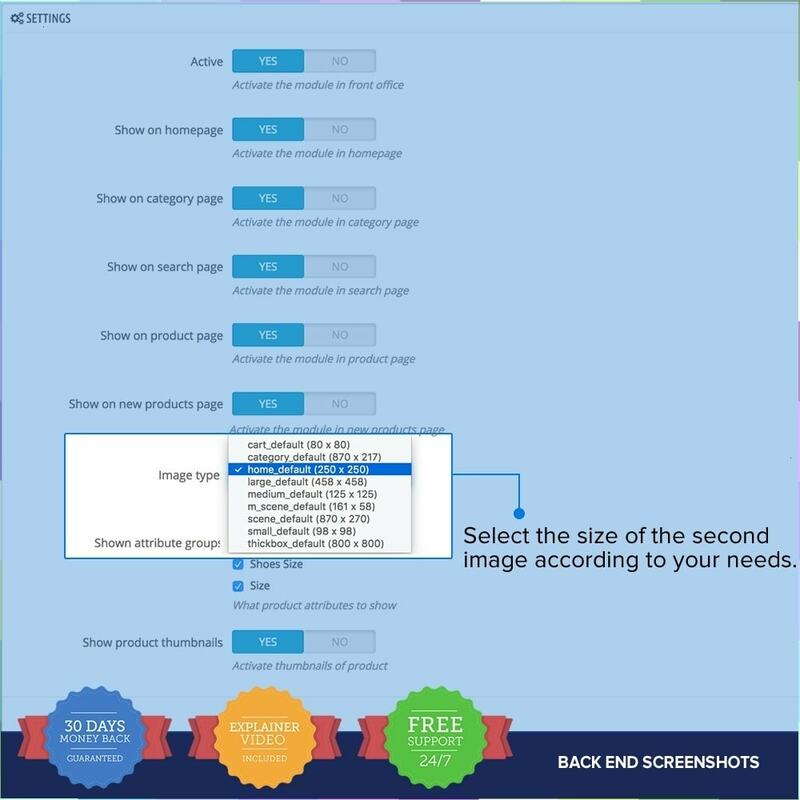 Get an easy navigation, so you don't waste time by checking each product just for a second picture of it. 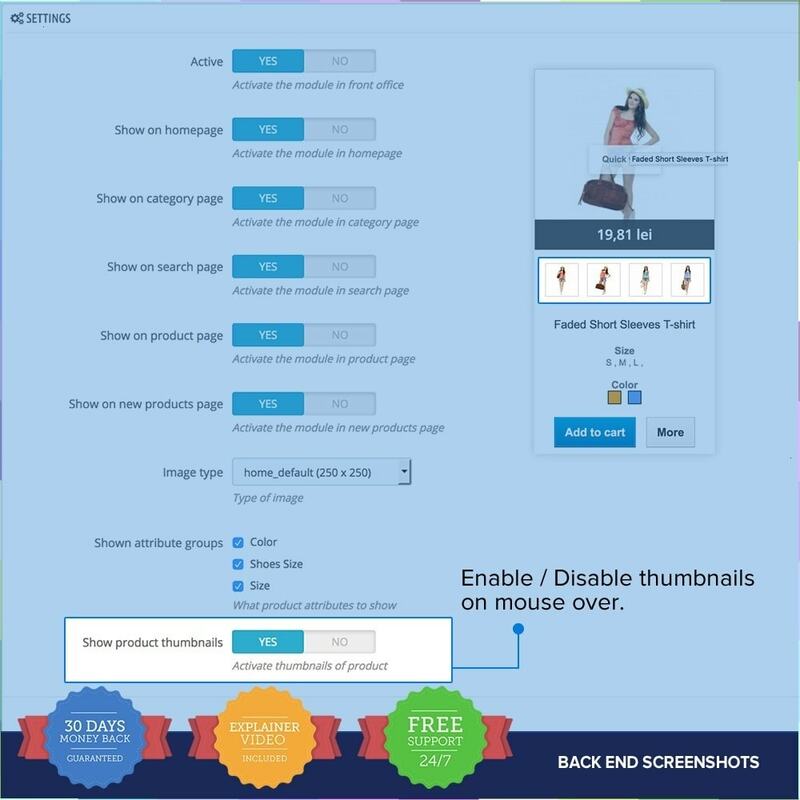 Enjoy now the available size or color of a product with just only one hover of your mouse.